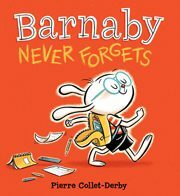 “I’ve always loved children’s books, especially picture books” says author and illustrator Pierre Collet-Derby. “I worked in the animation and video game industry for over a decade before realizing that I wasn’t truly fulfilled with my career. That’s when I decided to follow an old dream and started to make books… and I couldn’t be happier. This is definitely a challenging career, but such an exciting one! ​Born and raised in France, Pierre spent most of his childhood doodling (particularly during math class) and always knew he would grow up to make his living as an artist. Happily, he now spends his days drawing pictures, writing stories and strumming his guitar (or ukulele, depending on his mood). 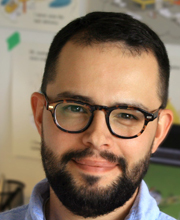 His illustrations are widely published in children’s books by other authors and in Highlights for Children Magazine He also provides illustrations for films by Dreamworks Animation. He recently illustrated Sheila Greenwald’s Bossy Flossie series and Goodnight Selfie by Scott Menchin. Pierre lives in Kingston, Ontario.